We asked three multi-academy trust CEOs for their views on Ofsted, inspection and how MATs can measure and evaluate their own impact. Ofsted have asked for the power to inspect MATs. What would this mean for trusts? The key issue is not who inspects MATs, but rather how MATs are to be inspected. The current challenge is the vast portfolio of measures and criteria in terms of being the ‘definitive’ measure of MAT performance. All have equal and useful value as they encourage self-evaluation, detailed analytics and ensure rigorous and robust quality assurance of practice and impact. However, the range of commissioners and auditors with their differing expectations can result in more time being spent on moulding and adapting impact measures, than positively impacting on the life chances of the young people we have the pleasure to serve. By introducing a framework which clearly defines ‘inspectoral requirements’ or ‘health checks’, trusts can refine and define their impact with required clarity and evidence using a shared methodology, with consistent expectations. With no prescribed infrastructure MATs are ‘best guessing’ what ‘data’ appropriately meets the needs of multiple audiences. Inspection needs to be led by well-trained, highly experienced educational professionals of the highest calibre, to give credibility and integrity to the process. There should be a parity between local authority school improvement inspections and those of MATs. How can MATs measure and evaluate their impact? The impact of MATs must be broader than a data analysis of GCSE outcomes, whether this be progress or attainment measures (because actually these are ultimately interwoven in the great ‘all can achieve’ myth). The current GCSE system in England is predicated on the notion that a proportion of pupils will not meet the required standard. Consequently, MATs, or some academies within a MAT, are inevitably going to fall below the red line. 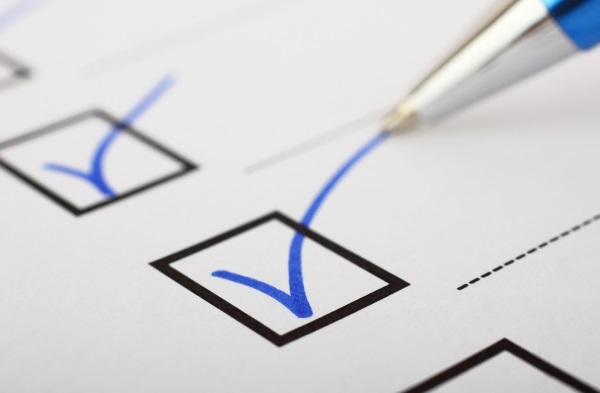 Mixed sector trusts, which may have a range of specialist provisions, have examination data sets which do not always reflect the quality of provision as it is too crude a tool to measure impact and effectiveness. It is wrong to omit the successes of these students from a MATs cadre of results; helping the most vulnerable to achieve is more valuable than any artificial measure which is arbitrarily applied across a disparate system. It is up to MATs to create a self-evaluation framework which enables their impact to be measured quantitively and qualitatively. There are a range of data sets which are ignored when judging MAT effectiveness – it is a closed world of spurious notions of success – valuing only what can be measured! The impact of a MAT should be more than test results alone or, if it is to be the only barometer, make it fair: make it a criterion referenced system where all pupils, regardless of starting point, can access a C in mathematics and English. Let success be determined by standardised attainment rather than norm referenced cohort variation. Inspections of schools and local authorities value more than cold hard outcomes alone – this is how courageous MATs should measure and evaluate their impact. Ofsted have asked for the power to inspect to MATs. What would this mean for trusts? As a trust that operates a very collaborative model with strategy and delivery aligned and standardised across our schools, The Stour Academy Trust welcomes the idea of a move towards MAT inspections. Hopefully, such a move would remove many aspects of inspection that are currently replicated in every school, which is not only time consuming and therefore inefficient, but leads to inconsistencies within inspections. MAT inspections could incorporate important issues such as sustainability and succession planning as well as financial accountability. However, concerns are around whether Ofsted has the necessary experience or expertise on how MATs work and how to achieve a consistent approach given the diversity that exists in the MAT model. The decision on whether Ofsted will carry out full inspections of MATs, and what they will look like, remains with the DfE. A far better approach would be on the excellent work done by Sir David Carter around MAT growth checks. How the role of these growth checks would play within a system which has formal accountability measures is worth exploring. By taking a fresh and collaborative approach to the inspection of MATs, one that is led by, and places trust in, the judgement of professionals within an environment where the MAT being inspected can be open and share their best practice as well as seeking support for areas of development. Are accountability measures for MATs clear? The government and parents have a right to know how effective MATs are in a rapidly changing education system. No one would dispute the need for clear accountability measures to be in place. The announcement by Damian Hinds to replace the current confusing system of both ‘floor’ and ‘coasting’ standards for performance is a move in the right direction. A further improvement is the decision to identify a single, transparent data trigger that will offer support rather than penalise. What is of equal concern is the multiple masters that trusts are accountable to – parents, local governors, boards of trustees, members, the local authority, RSC and, of course Ofsted. Is it any wonder that our school leaders feel under pressure? Such multi-tiered accountability requires reform. In an environment where the recruitment and retention of governors with the necessary skills and expertise is increasingly difficult, I would suggest that this would be a good place to start. What are the most appropriate benchmarks for inspecting a MAT? Retention of staff: are staff remaining within the trust and looking for internal opportunities? Is wellbeing and work-life balance monitored and supported? Development and promotion of staff: is there evidence to show that the MAT is providing substantial opportunities for professional development? Data: how does attainment and progress stack up across the trust for all groups, including disadvantaged, gender and more able? While some averages will be generated for this, it will be important for inspectors to look beyond the numbers and pockets of strong or weak performance which could easily affect averages in either direction! Attendance of pupils across the MAT. Exclusion rates across the MAT. Governance at both trustee and local levels. Use and effectiveness of executive leadership across the academies. Budget and annual report returns. Succession planning and sustainability, including scrutiny of the business plan. How would you like to see MATs inspected? By a group of several inspectors with a variety of expertise including education, business, finance, HR and data analysis. Conducted over an appropriate time period, set in accordance with the size of the MAT. Notice given beforehand (around two weeks) due to diary constraints. Observation and analysis of all Ofsted inspection reports of individual academies in the trust. Designed for MAT CEOs and their leadership teams, the event provides an opportunity to learn, plan together and network nationally. This two-day event takes place in October and covers areas including governance, growth and school improvement. Places are booking fast so secure your seat now!